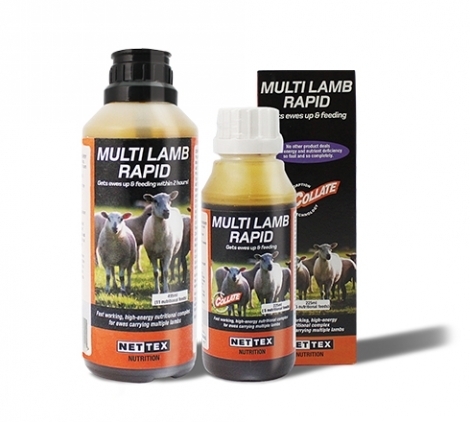 A 45ml feed will help support a ewe’s energy and nutritional needs FAST – exhausted ewes can be fully recovered within a few hours. When it is cold and wet and there is little energy and goodness in grass and forage, ewes will transfer their bodily reserves into their lambs, the result of this is the condition twin lamb disease. Ewes suffering from twin lamb disease, and the lambs they are carrying, are at high risk of death if they are not treated. Ewes can be rehabilitated successfully with fast acting, easy to administer Multi Lamb Rapid.